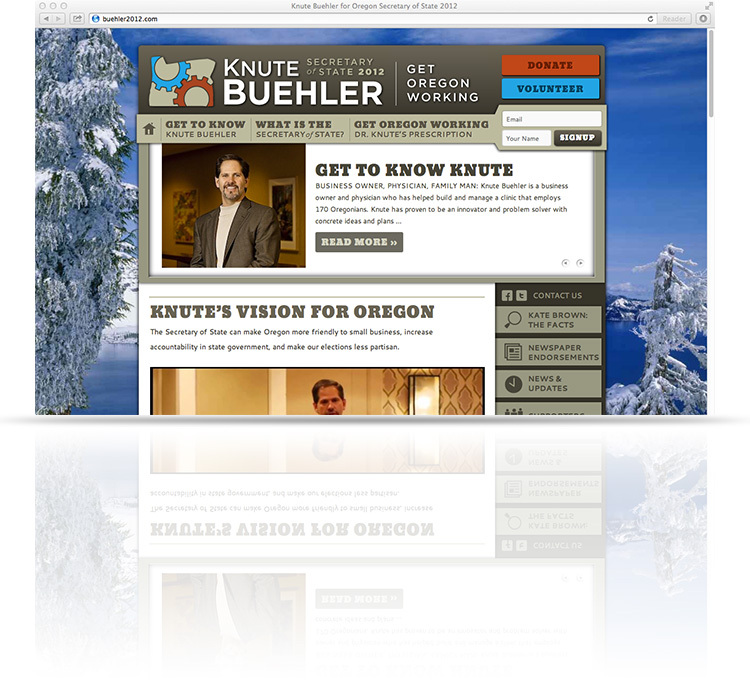 Good Electrons was excited to help Knute Buehler on his campaign website for his run as Secretary of State of Oregon. Our designers worked with his team to create a graphic design that emphasized cooperation and celebrated the diversity of Oregonions. Through careful color selection and showing the natural beauty of the state we where able to create a very non-biased web platform for Knute Buehlers' campaign. Good Electrons is Located in San Luis Obispo, CA. Give us a call to learn more!